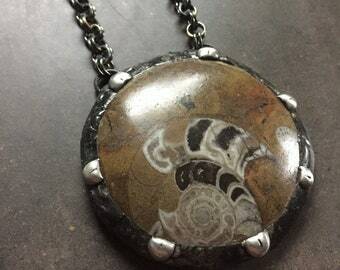 A sweet ammonite nautilus fossil necklace. 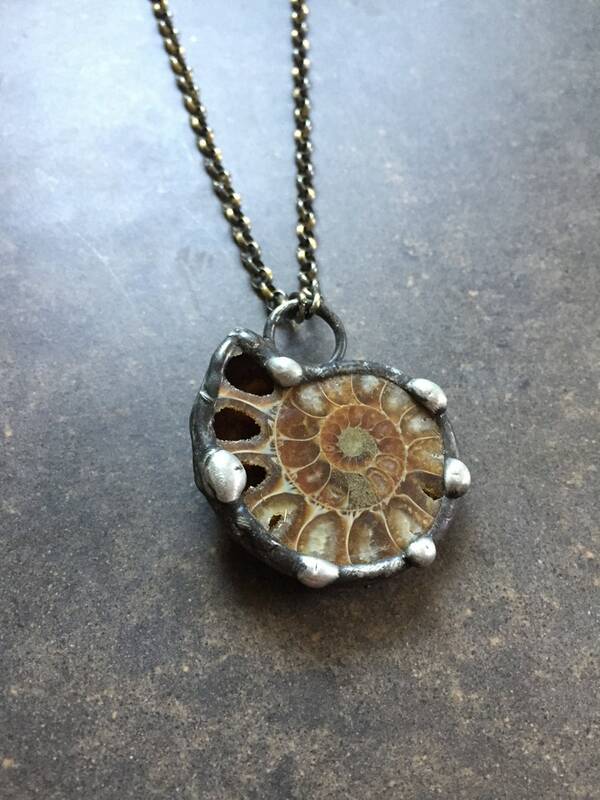 Millions of years old, these fossilized ammonites are beautiful. 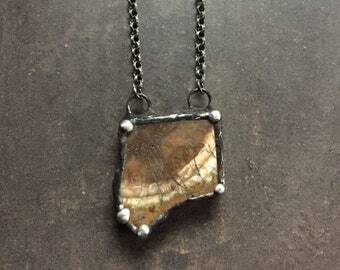 I solder each piece with my signature style, and then they are oxidized and sealed. 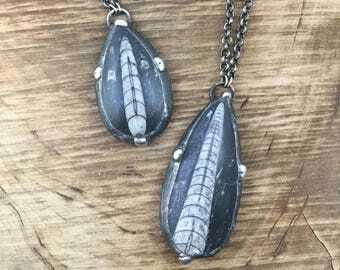 On antiqued brass chain. Each one is unique in color & size. Beautiful!! 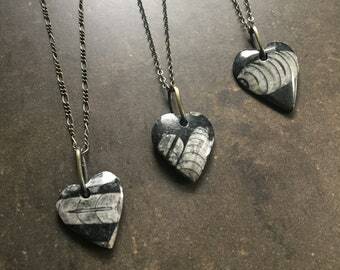 It is a pleasure to shop from this artist. She’s wonderful! This piece is just gorgeous!!! I love it so much, and this artist is an absolute delight!!! A refund will be applied only if item is damaged upon arrival, in this case seller pays return shipping. Exchanges are always allowed (unless the item was a custom order) buyer pays return shipping for exchanges. USPS usually, although I can be flexible...I generally ship out within a week unless it is a custom order that takes longer to make. I welcome custom orders and wholesale inquiries.